2019 might not be the best for the Chicago real estate market. A forecast by Realtor.com estimates that Chicago might have the worst and the weakest housing market in the United States next year. The survey says that Chicago might have a decline in the number of homes that are sold in 2019 and in the average prices of homes, among hundreds of metros in the States. The data postulates that the sale of homes in Chicago will fall by 7.4%. The median sale prices of properties in Chicago is also expected to go down by 1.9%. This is because of the slow population growth in Chicago, coupled with very slow growth in employment opportunities. This in turn, will impact the housing market in a downward manner and the Chicago-Naperville-Elgin Metropolitan Area will be among the worst hit in 2019. Because mortgage rates are also growing to 5.5 %, home sales in the United States will usually slow down. But this situation will be much graver in Chicago, where home sales will slow down four times more than average when compared to the rest of the nation. Because home prices are also going up by 2.2% in the entire nation, a lot of homes which are located in the Chicago area will also lose about 2% of their values in 2019. Thus it will affect the demand adversely and land values in the Chicago area will go down. 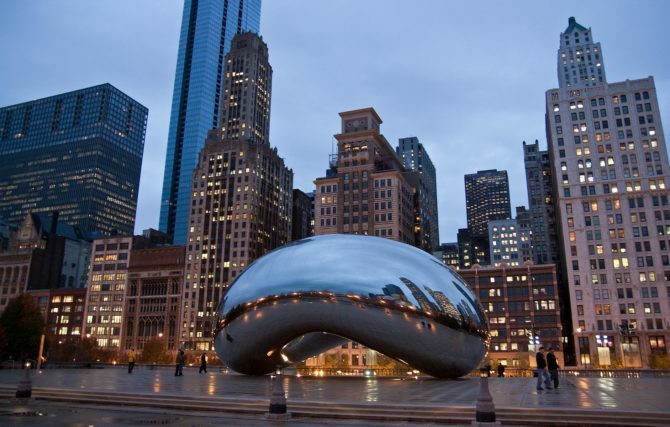 The poor state of Illinois’ real estate market will roll on to Chicago as well and this will hurt investment in the latter, as far as investment in real estate is concerned. The Chicago area also faced a decline in population in 2018 due to outmigration in large numbers. This will negatively impact home sales and since the working population in Illinois and Chicago is reduced, it will hinder the growth in home sales and will also affect prices in the latter. A decline in the younger population means that millennials will also not invest in property as much in the Chicago area as expected and thus, this will further drive the market down. In Illinois, property taxes are also at an all-time high in comparison to the sale of homes; almost growing 76% faster than home values in Cook County, for instance. This is also spilling over to the Chicago market. Thus, if you are looking to invest in the Chicago real estate sector, please be cautious and exercise your judgment before jumping on to a hasty decision. Check out the neighborhoods to gauge if they have re-sale value and then decide on a property. If you do not want to pay high property taxes, then it is probably safer to invest in another area. These forecasts are only meant to be a guide as to how the real estate market might look like in 2019. They are not meant to scare you. Rather, they are meant to help you in making smart investment decisions.